Black women will play a key role in electing the next president, according to a recent report by the American Federation of Labor and Congress of Industrial Organizations (AFL-CIO). The AFL-CIO is a national trade group and the largest federation of unions in the United States. 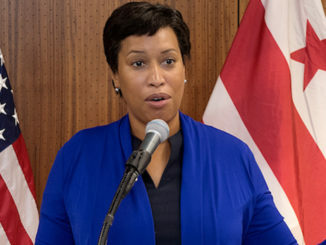 Carmen Berkley, the director of civil, human and women’s rights policy at the AFL-CIO said that the labor group wanted to provide context to the power that Black women voters have displayed over the past two presidential election cycles. In the briefing paper, researchers provided a case for why labor unions and non-profit organizations should be paying attention to Black women. 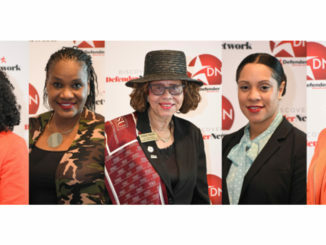 Denise Rolark Barnes, the publisher of The Washington Informer and chairwoman of the National Newspaper Publishers Association (NNPA) said that Black women voters could make a monumental difference in the outcome of the 2016 election, just like they did in 2012. But Rolark Barnes also expressed concerns that neither of the candidates have touched on the issues that are important to Black women and single parents, who are also the primary breadwinners in their families; issues like health care, education and the environment are very important to Black women and their families. “I don’t think we’ve heard enough from the candidates about how they plan to address issues that affect Black and Latino families,” Rolark Barnes said. Recently, Hillary Rodham Clinton spoke at a campaign rally in Durham, N.C., flanked by “Mothers of the Movement,” a group of Black women who have lost children to gun violence or during interactions with law enforcement. The group included Gwen Carr, the mother of Eric Garner, Sybrina Fulton, the mother of Trayvon Martin, Lucia McBath, the mother of Jordan Davis and Geneva Reed-Veal, the mother of Sandra Bland. Berkley said that Republican presidential nominee Donald Trump has said that he knows the Black community, but he hasn’t proven that he understands the impact that Black people, especially Black women, have on society. Berkley also noted that Black women have been very reliable voters in the past two election cycles. In 2012 and 2014 Black women voted at higher rates than other women. Berkley said that Black women do more than vote. “We’re very active in our churches, we’re very active in our communities and we’re very active in our unions,” she said. According to a survey by Lake Research Partners (LRP), a leading public opinion and political strategy research firm, Black workers are far more likely to view labor unions favorably (77 percent for Blacks vs. 50 for all-respondents) compared to other workers. Petee Talley, the secretary-treasurer of Ohio branch of the AFL-CIO, said that evidence shows that Black women union members have stepped up in remarkable ways. “Not only are they organizing inside of their unions, they are organizing the Black community around vote registration efforts,” said Talley. And when Black women take on leadership roles, they have the power to significantly affect elections inside their unions. The report noted that Black women were more likely than any other group to skip at least on race on the ballot. “By skipping down ballot races, Black women lose the potential to be a political force in local races, which arguably have a more direct impact on the day-to-day lives of Black people,” the report said. The briefing paper said that as the labor movement grows, it should look to Black communities and Black women organizers as a potential base for power. Rolark Barnes said that Black women hold the power of the vote and also have the influence in their households to make sure their families and friends get out to vote.